LINCOLNSHIRE, IL. 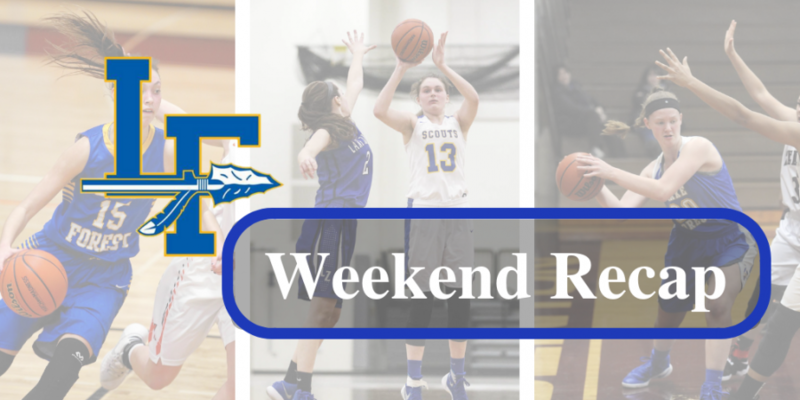 – Simply put, Friday night couldn’t have gone much better for the Lake Forest Girls’ Basketball Team (6-2, 1-1). 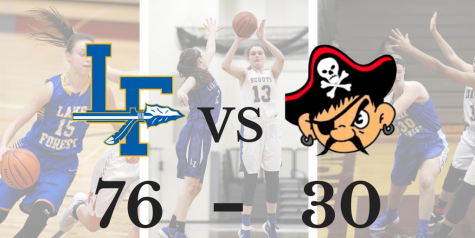 Despite a slow start, the Scouts quickly turned things around in the second half en route to their 61-50 win over the Patriots on the road at Adlai E. Stevenson High School. Prior to tip-off, it was clear the Scouts had the upper-hand on the Stevenson Patriots (6-1, 1-1) from a physical standpoint. 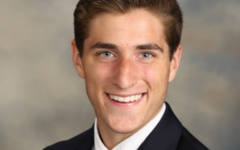 With four starters for head coach Kyle Wilhelm’s group ranging between 5’11 and 6’2, the Scouts undoubtedly had advantageous size over their opponent. As the game unfolded, not much scoring was done by either side. The Scouts’ size forced a largely perimeter-based Stevenson offense–averaging roughly eight three-pointers a game–into quick shots and consequently rushed possessions. However, foul trouble and a lack of familiarity to a newly installed defensive look limited the Scouts in the first half of play. The half concluded with Lake Forest on top by six, leading the Patriots with a score of 27-21. Following the break, Wilhelm and Co. came out an entirely different team and for obvious reasons. Just as Pearson put it, the team was determined to not let this one slip away from their fingertips. Whether it was diving for loose balls, making the extra pass, or simply boxing out, the Scouts knew it was the little things that would ensure them the win down the stretch. 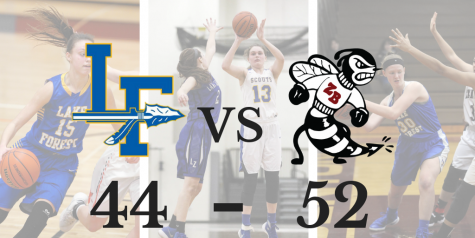 In the final quarter of play, Lake Forest found itself with a comfortable 57-44 lead over Stevenson. Though largely in part to the play of Simone Sawyer–a freshman forward who put up 11 for the Patriots on the night–the home team made a resilient effort to get themselves back in the game. After Sawyer hit back-to-back threes, the deficit was cut to just seven. Yet Stevenson’s comeback hopes were soon diminished after both senior Grace Tirzmalis and sophomore Molly Fisher nailed a pair of free-throws to seal the deal and secure the win. In her best game of the season, Tirzmalis led the charge for the Scouts with 23 points and 10 rebounds, going 4-5 (80%) from beyond the arc. Despite fouling out early in the fourth, junior Halle Douglass finished the night with 13 points and six assists. Pearson added 15 points and seven rebounds. 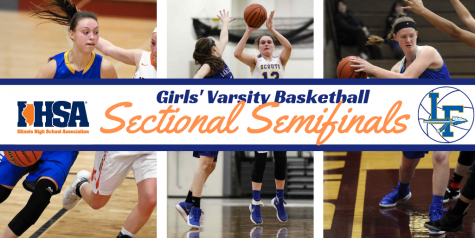 As a team, the Scouts showed drastic improvement on both ends of the floor from their 51-34 loss to Libertyville just three nights before. Offensively, the team shot 45% from the field, connecting on 21 of the 47 shots taken. Free throws were a near guarantee, as the team sank 13-15 (87%) of their attempts. Defensively speaking, communication, contesting shots, and extra effort plays were at their all time highs in the game, as the team limited a talented shooting core of the Patriots to just 29% from 3-point land, coming up short on 22 total attempts. LOMBARD, IL. – With the Libertyville game far behind them and the win against rival Stevenson boosting them forward, the Girls’ Varsity Basketball Team entered Saturday afternoon’s contest against the Montini Catholic Broncos (4-1) with an unwavering sense of confidence. Similar to the opening minutes in their matchup against Stevenson, the Scouts (6-2, 1-1) found themselves off to a slow start. 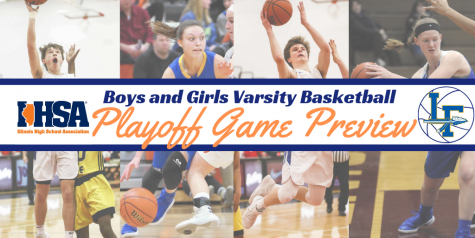 With shots hard to come by and a fast-paced Bronco offense repeatedly pushing the ball up the court, head coach Kyle Wilhelm’s unit found themselves trailing early on, ending the first quarter of action with a 12-5 deficit. The second quarter was a much different story as the Scouts adjusted their defense to match the Broncos’ speed and intensity. Offensively, nothing seemed to fall, and the Broncos’ trap defense only made scoring that much more difficult for the Scouts. The two teams put up a combined nine points by the end of the half, as Montini Catholic led 17-9. Generally speaking, the second half wasn’t all that different than the first. Defensively, the Scouts didn’t have any answers for the opposing offense. Senior forward Ellie Pearson went down with an injury just a few minutes after the break, and her defensive presence was undeniably missed. On the other side of the ball, any shot made by Lake Forest was immediately matched with a Bronco bucket of their own. 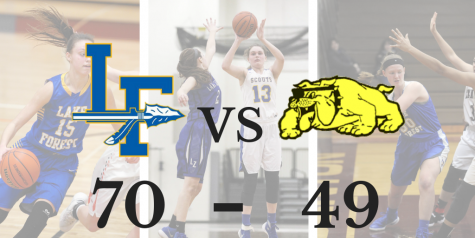 The two teams went back and forth until the clock expired with Montini Catholic remaining on top in their 48-41 non-conference win over the Scouts. 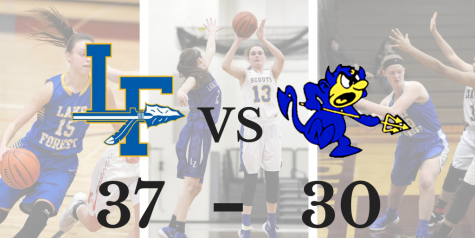 Once again, senior forward Grace Tirzmalis and junior guard Halle Douglass led the Scouts with 14 points apiece, while sophomore Lily Trkla added eight points of her own. All in all, despite losing Saturday’s matchup to Montini Catholic, Wilhelm’s group showed much improvement in such a short time window. Not to mention, Friday’s victory over the Stevenson Patriots gave head coach Kyle Wilhelm his 99th career win, just four shy of tying the school record (103). Tomorrow, the Scouts return to conference-play against the Mundelein Mustangs on the road. A win over the Mustangs would earn coach Wilhelm a spot in the 100-win club, a very prestigious and honorable accolade and milestone in any coaching career.